Who loves banana bread? Who has a couple bananas laying around that are about to go bad? Who doesn’t want to eat a whole loaf of bread in one sitting? 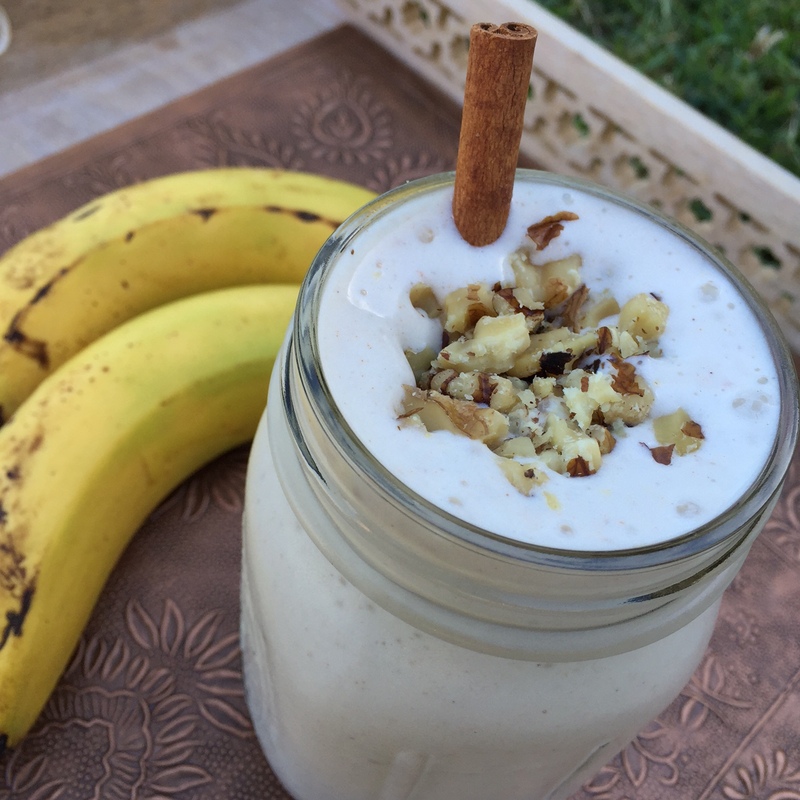 If you answered yes to any of the above, check out this quick and fit banana bread smoothie. 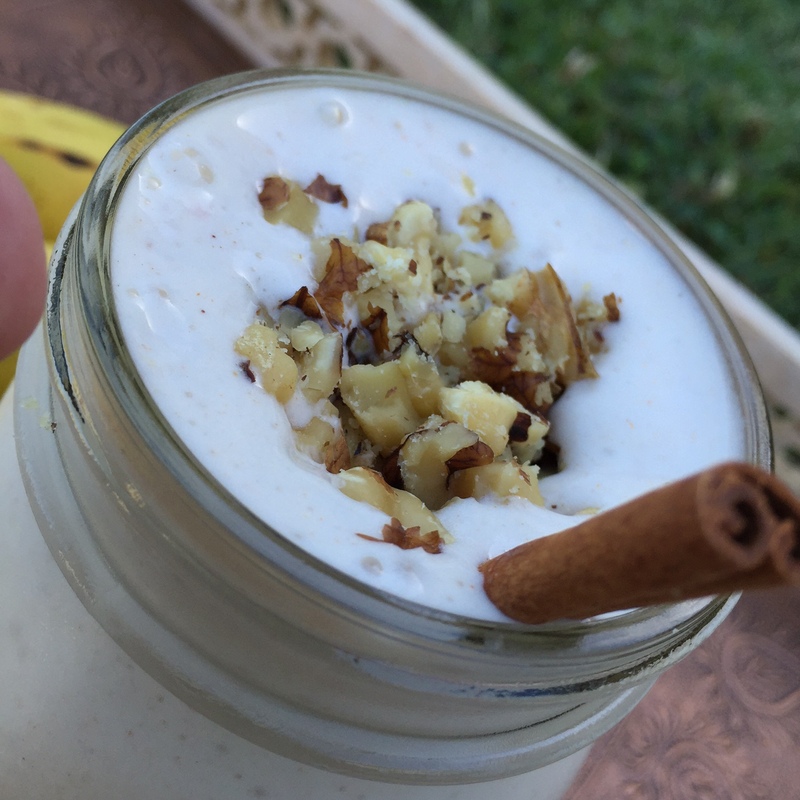 Packed with natural protein, omega-3 fatty acids and no added sweeteners, this drink makes a wonderful breakfast or post-workout snack. Just soak the chia in milk for a few minutes before preparing your smoothie. Combine all ingredients except oats and blend until smooth, about one minute. Add oats at end and blend for about ten seconds. Mix chia seed & milk mixture into smoothie. Do not blend. Top with walnuts & enjoy!